The Eastgate Music Shop about the CD release "Years ago when Eastgate started the Booster compilation series, it used to be mainly a collection of cupdisc titles and newly recorded music material originally composed for various occasions. We never thought that it will become one of the best accepted CD releases out of our very extensive catalogue. 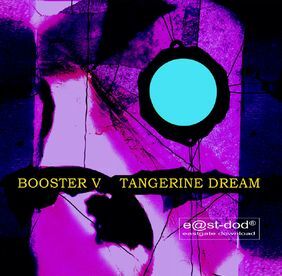 Now we've achieved Booster number 5, a very special collection because the band themselves selected it out of a variety of known and unknown material. We do hope that this record will become a good companion during your diverse daily activities or private moments. Enjoy more than two hours of Tangerine Dream's description of another time in another country -- far far away..."
Regarding the Eastgate CD release, neither disc nor the paper inserts show any order number or barcode, but the number given below is the order number the Eastgate Music Shop lists this release. 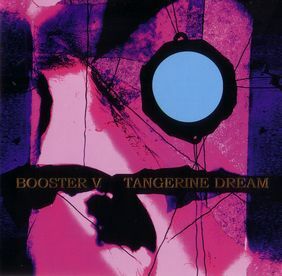 Only a few days after its CD release this album became available as MP3 download at the Tangerine Dream Download Shop as well.